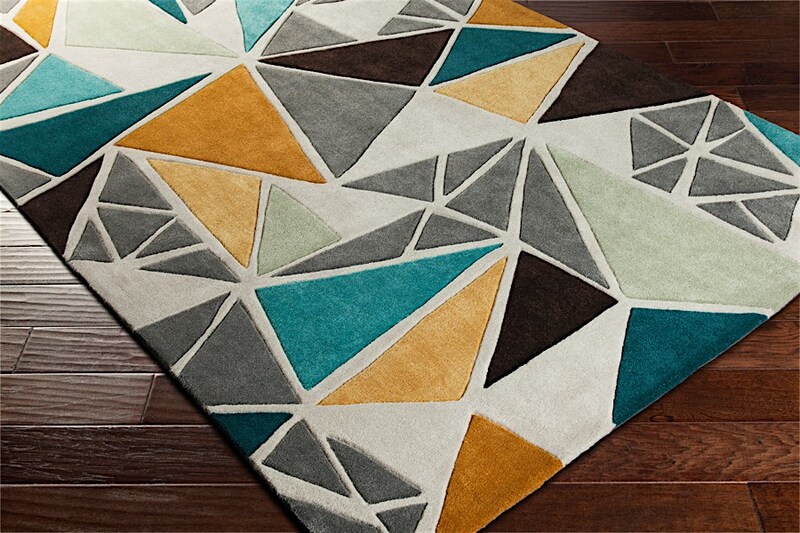 Add bold pops of color to your home with the Tokyo Rug. 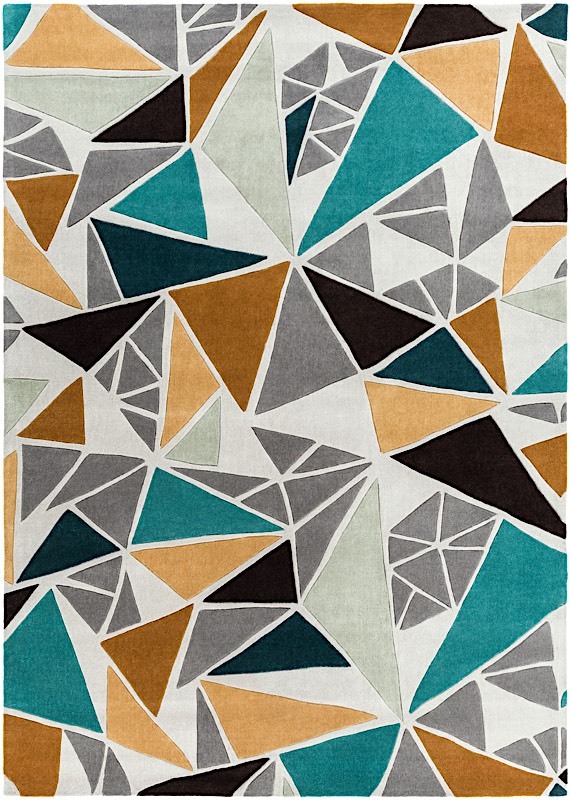 Hand tufted with a comfy medium-height pile (0.63") and cotton backing, Tokyo boasts bold hues of teal, emerald green and orange in 100% polyester, all arrayed in a cool collage of triangles. Tokyo's bold colors and geometric print are the perfect compliment to your modern home! 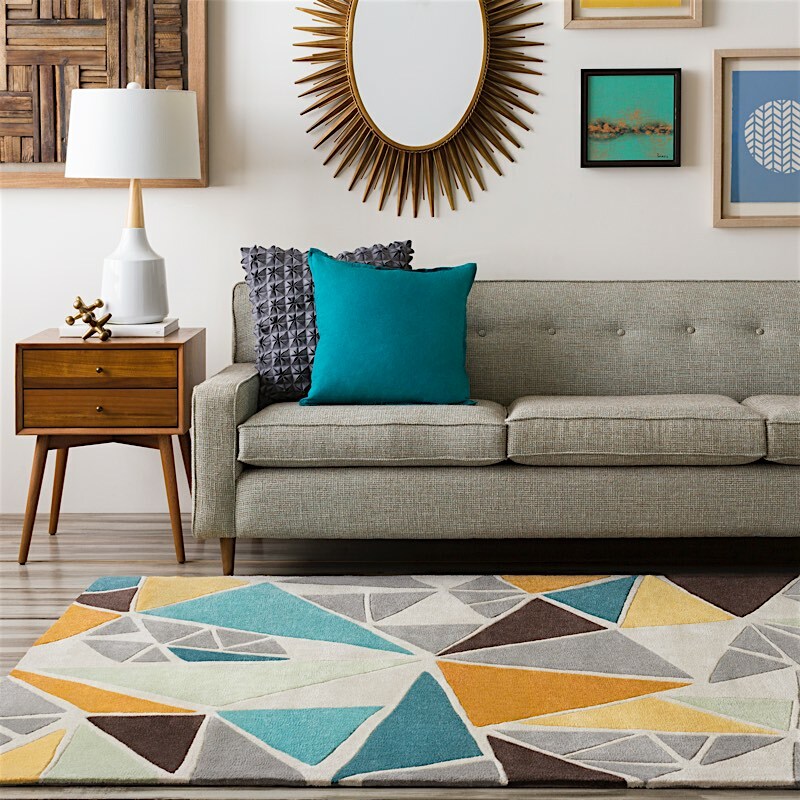 Just choose your size, and you're on your way to a fun, affordable modern rug adding color and life into your space.